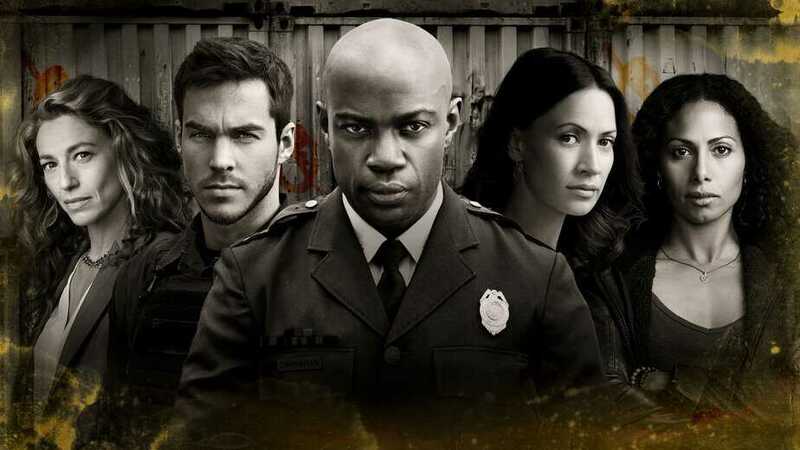 Last Tuesday night, I watched the premiere episode of Containment for the second time. Yes, that’s right; I got to see an advance screening of the first episode at WonderCon, and I enjoyed it so much that I watched it again on April 19th, when it officially premiered on the CW Network. I found that the show did not lose anything on second watching, and that I am eager for episode 2 (coming next week). As I was telling my husband about this show and why I wanted to watch it, he commented that we already have ‘too much TV’ to watch. We’re trying to catch up on a few shows, and then have plans to subscribe to Netflix and watch on some of their new seasons/series, so there certainly is a ‘backlog’ of programming in our lives. Yet I felt that adding Containment to the mix was worth it. 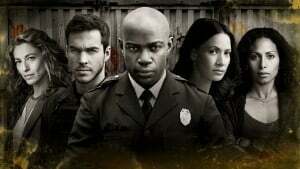 Containment, as the title suggests, is about a large section of midtown Atlanta that is quarantined (or ‘contained’) due to the outbreak of a deadly disease. Yes, I know that there are many programs and films right now dealing with dystopian futures and zombie apocalypses, but this program is different. The ‘end of the world’ in Containment comes from the flu. Of course, it’s a biologically manufactured flu (the apparent result of bio-terrorism) yet it’s the kind of thing with which we’re all familiar: sneezing, runny nose, itchy, red eyes… except that this flu proves to be extremely virulent and evolves into something more. Unlike your average zombie show, this is a crisis that I can really imagine happening in my hometown. I don’t live anywhere near Atlanta, yet I don’t have any trouble picturing this flu invading every single town in North America. The personal intrigue in the storyline and the overhanging threat of the flu remind me of Stephen King’s The Stand, one of my favorite novels. Unlike zombie shows, in Containment it does seem like there is hope for a successful quarantine, keeping the spread of the flu within the hastily-erected walls. Of course, it remains to be seen in future episodes if this is actually the case, but for now the drama revolves around those people who are stuck inside the containment zone: an unwed mother-to-be, a young police officer, a single woman afraid of commitment and an elementary school teacher who took her students on a field trip at exactly the wrong time. The story also includes people outside the containment zone who know those inside, as well as those who are trying to stop the spread of the flu and do what is best for the population as a whole. While authorities in the series opener assure everyone that the containment will be over in forty-eight hours, the first episode is bookended by scenes of military forces attempting to quell a riot inside the containment zone thirteen days later. It’s clear that there is a lot of interesting drama to unfold in the coming episodes. I am looking forward to watching the rest of Containment. If you missed the first episode you can catch-up by clicking here for the official website. Join the conversation on the FoCC forum by clicking here.